Friendly staff. Beautiful location. 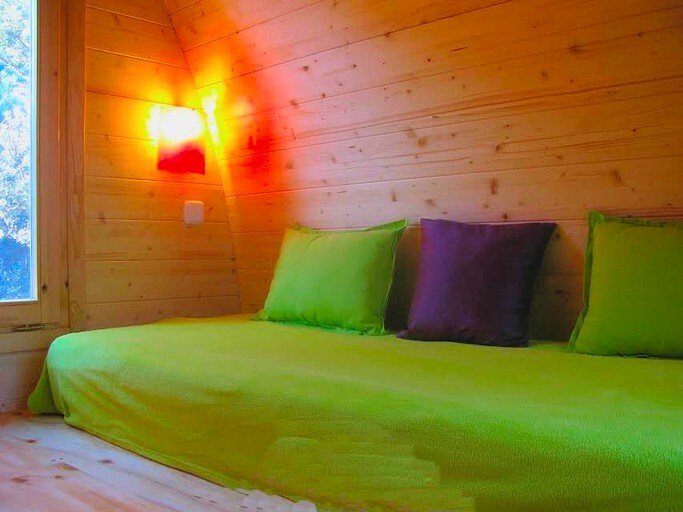 The tree house cabins are cozy and warm even in mid winter. Highly recommend. 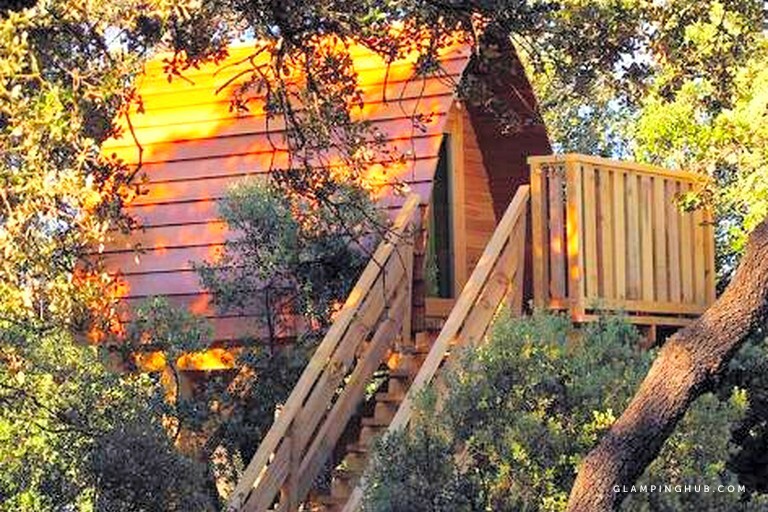 This cozy tree house rental is located on a family-friendly campsite tucked away in the mountains north of Madrid, Spain. 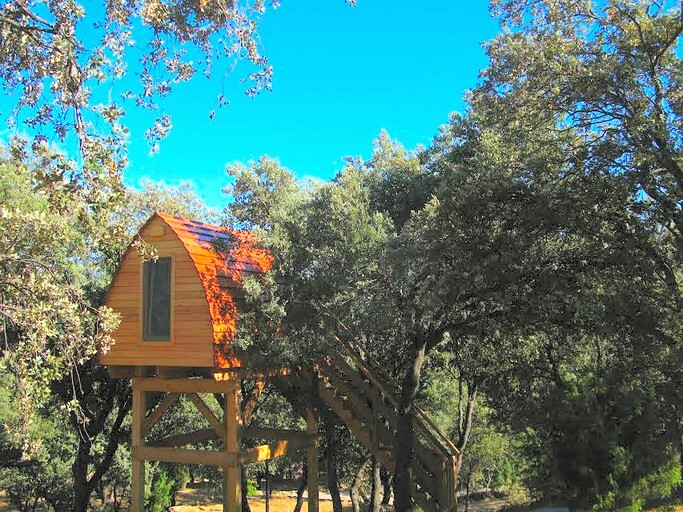 Equipped with two twin mattresses, the tree houses sleeps two guests comfortably. The toilet block, with showers, sinks, and toilets, is found nearby. Linens and towels are not provided, so guests will have to pack their own. Outside, guests will find a small deck with a table and two chairs. There is nothing better than walking out onto the deck in the morning to the sunshine and the chirping of the birds. There is a small microwave for heating up drinks and snacks, and there is also a heating system. The tree house is supplied with electricity. Showers are available outside the tree houses, and they have hot water and are available 24 hours a day. There is also parking at this glamping site. 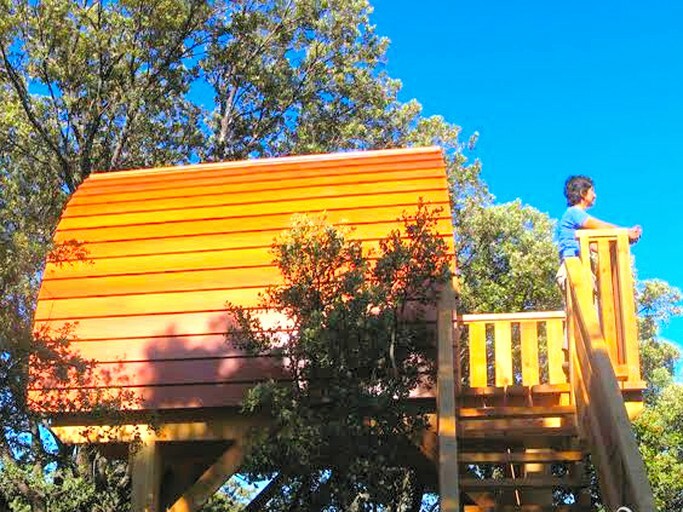 During a stay in these unexpected tree houses, guests can also take advantage of the many sports facilities located right on site. There are swimming pools, an indoor playground, a tennis court, a football field, a basketball court, a beach volleyball court, a ping pong table, and more. Also within this glamping site, glampers will have access to two heated buildings with toilets, dishwashers, a washing room, free Wi-Fi throughout most of the glamping site (Note: the Wi-Fi cannot be used for downloading), free access to a computer at reception, a tourist information area, and a library for all ages. 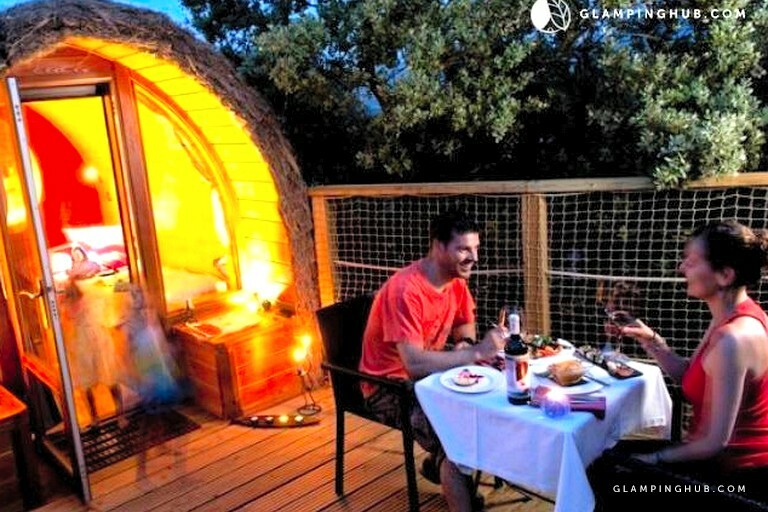 Of course, if guests are hoping to do a bit of tourism while glamping in Spain, they won’t be far from some must-see sites near Madrid. Nearby places of interest include Monasterio El Paular, Valle de los Neandertales, La Granja de San Ildefonso, Segovia, Villa Medieval de Pedraza, Sepulveda Asentamiento Arévaco and Atapuerca. If glampers would like any more information about these sites, all they have to do is ask. 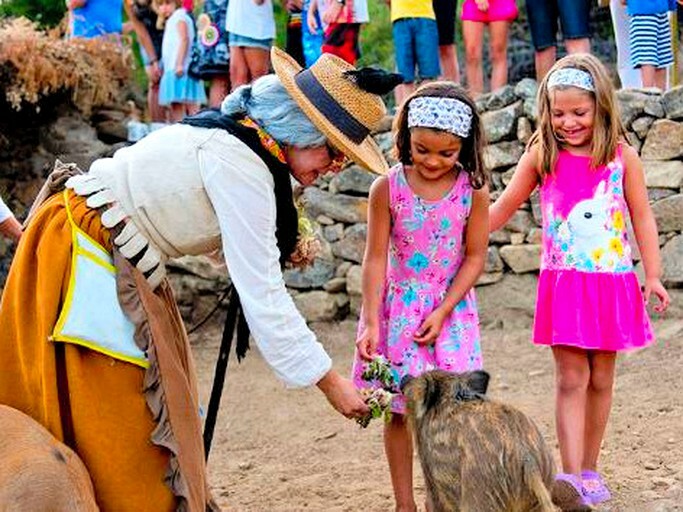 Depending on the dates of the stay, there will be a plethora of activities going on for children, teenagers and adults all summer long and on the weekends. These activities include things like human foosball, circus shows, games in the swimming pool, live music and more. 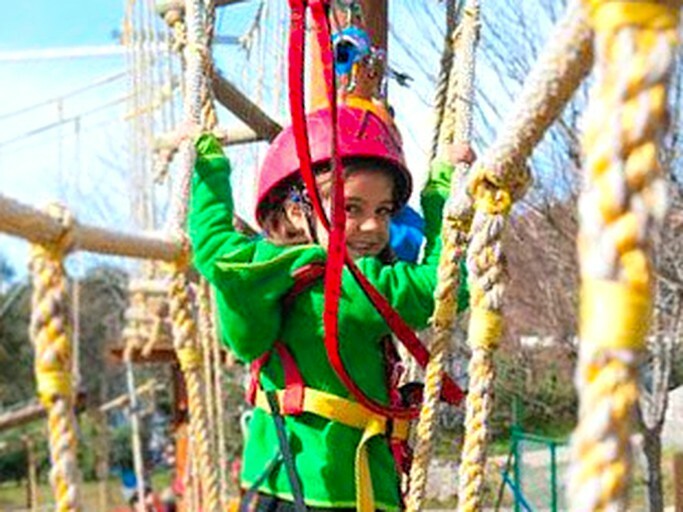 There is also a Multi-Adventure Park open on the weekends, where guests will be able to do things like zip-line, wall climb, and other fast-paced activities. 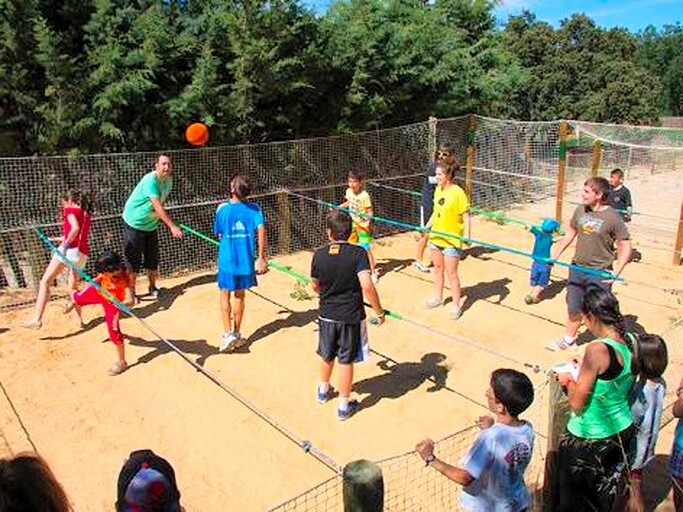 They can also arrange to check out the biological reserve called Cerro del Lozoya, and if an animal fan, then guests can also sign up to learn about how a traditional farm works with a vegetable garden, sheep, and other animals. 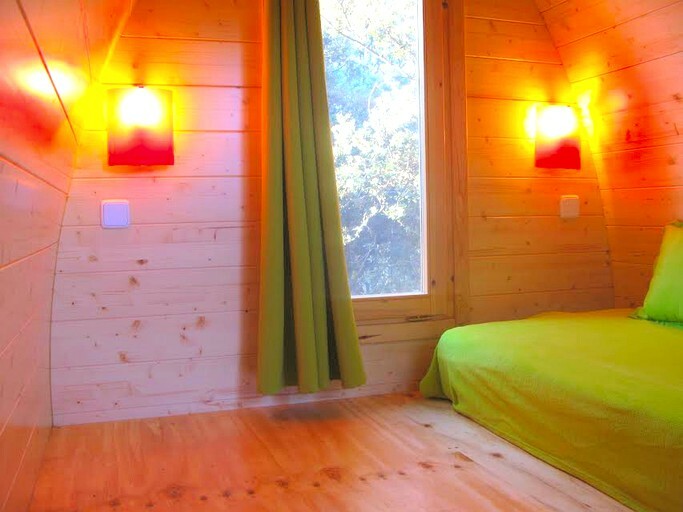 Another must-do activity with glamping in Madrid is exploring the incredible Sierra de Guadarrama National Park, which the glamping site owners are more than happy to help set up for them. Simply inquire about it while making a booking request! Parking for one vehicle is included in the daily rate. Children up to 10 years of age stay for free. The tree houses are not pet-friendly. There is no smoking inside any of the accommodations. Please note that the Multi-Adventure Park is only open on the weekends.